If you’re in the neighborhood or able to make it out to Park Slope this evening, there’s a fun event featuring two things that should be part of every kid’s life: bikes and books. 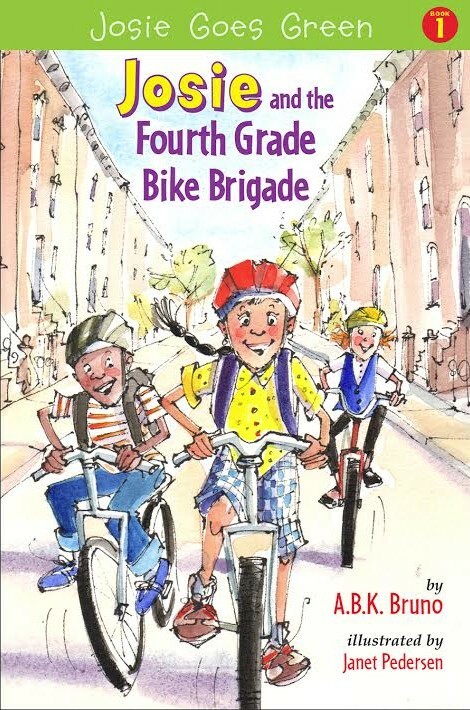 “Josie and the Fourth Grade Bike Brigade” follows fourth grade student Josie. After spending a summer with her grandmother in Ecuador and taking a class trip to the zoo, she is prompted to take action to slow global warming. In an effort to go green and discourage the use of cars, Josie organizes the Fourth Grade Bike Brigade. Her best friends, brothers and other characters from the neighborhood go along for the ride, but not everyone joins in – and when those who oppose the plan voice their opinion, trouble begins for Josie and the Bike Brigade. I’ll be at the event this evening with my own members of the bike brigade and hope to see you there. ← This isn’t New York! Crap, Crap, Crap! Someone has partially beaten me to it! I am trying to write a children’s book that normalizes cycling. Now that I am finally raising a child, I am being hit very hard by just how kids are indoctrinated to admire fossil fuel-using vehicles. Planes! Boats! Trucks! Tractors! Fire Trucks! Trains! Whoopie! Aint they great!